Addressing a press conference in Kozhikode district after an all-party meet that discussed the situation post-Nipah, state Health Minister KK Shylaja said the virus has been brought under control and its spread checked. Lauding the services by doctors, nurses and paramedics who played a vital role in bringing the situation under control, the minister said the government would organise a function to felicitate them. 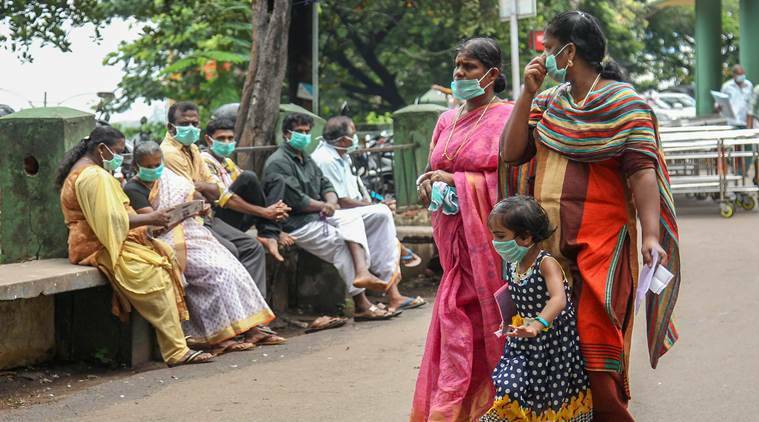 The Kerala government on Sunday decided to lift the high alert sounded in northern Kozhikode and Malappuram districts in the wake of the outbreak of deadly Nipah virus last month that has so far claimed 17 lives. Addressing a press conference in Kozhikode district after an all-party meet that discussed the situation post-Nipah, state Health Minister KK Shylaja said the virus has been brought under control and its spread checked. “It has been decided to reopen educational institutions, schools and professional colleges on June 12, which was postponed due to the virus outbreak,” she said. However, she said though restrictions for the public gatherings of people has been relaxed, it was better to continue the vigil till this month end. “Nipah is under control now and no positive case has been reported. In this backdrop, it has been decided to relax the high alert issued in mid-May after the outbreak of the disease,” she said. Out of the total samples sent for examination, 371 cases have tested negative so far. “We expect the same results in the remaining samples also. So we can say that the disease is under control and we do not expect any further spread,” she said. However, the minister said that monitoring of persons who were in the contact list would continue. But she made it clear that these persons or families should not be isolated as there is no chance of recurrence of the disease. As many as 2,649 person were in the contact list, which has now come down to 1,430. The minister also said that the expert cell, opened to monitor the day-to-day situation here, would be closed on June 15, but the District Collector and the District Medical Officer (DMO) would continue the coordination in this regard. Lauding the services by doctors, nurses and paramedics who played a vital role in bringing the situation under control, the minister said the government would organise a function to felicitate them.